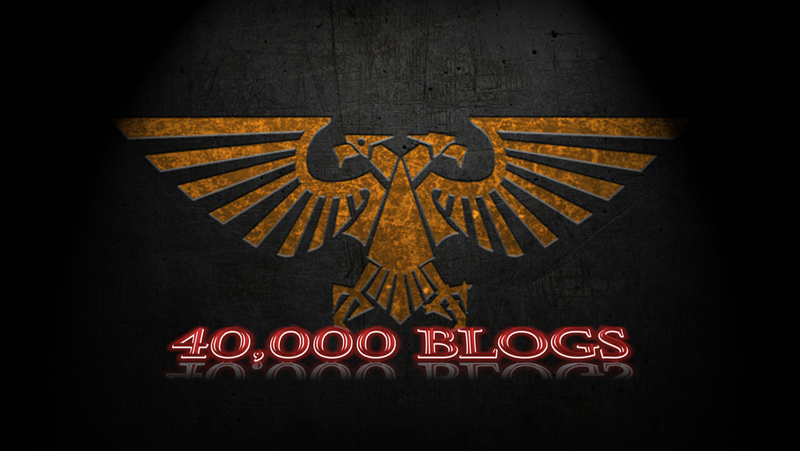 The Burning Eye: Did Astartes just grow up a little? So, what did we find out for definite? 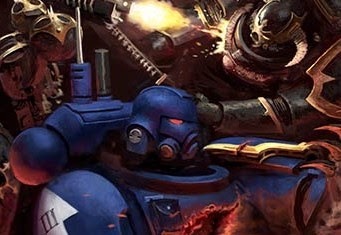 Two new kits were revealed, and a whole new branch of Primaris marines are set loose on the galaxy. Now, like the Primaris fluff or not, they’re here to stay, and I personally am more than willing to embrace fluff changes and not worry too much about the odd minor plot hole, particularly when it results in awesome new miniatures to paint and play with. Now, to me, I have to say that this new bunch of marines feels a little like Age of Sigmar as Sigmar opens up new chambers of stormcast, but like I said, plot holes<awesome new miniatures. So, first up we have the Primaris Vanguard Librarian. And he’s wearing camouflage! His armour resembles that worn by the Primaris Reivers, and he’s got a cloak, and gloves over the armour’s gauntlets. Look a little closer and he’s also wearing what appears to be a leather jerkin over the chest armour! This feels like a big new direction for Astartes, perhaps a more ‘grown up’ way of war? Astartes have always been presented as the ‘battlefield’ army, used in a stand up straight fight where the enemy can see you and therefore concealment isn’t necessary. This model, and the promised expertise of the Librarian in the fields of Stealth and Concealment feels like the Astartes finding a new way to fight, accepting that sometimes a war can be won in the shadows rather than the light, and that you might have to fight dirty if you want to win. Ironic really for the ‘Grim Dark’ that it’s poster boys always fought in the light, even if they were brutal about it. 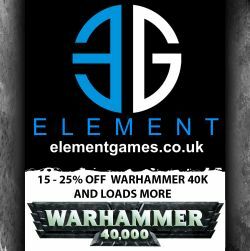 I can’t tell you how excited I am by this change, speaking as someone who plays a Raven Guard successor chapter and who has previously collected Raven Guard precisely because they’re written about as having that more tactical approach to their way of war. Next up we have the Exterminators. Naming conventions aside, I love the picture they’ve released of these guys, only the sergeant with the scope is standing up, the guys taking aim are actually resting the arm holding the weapon on their bended knee for stability, whilst the sniper rifles appear to have an extendable stock and various suppressive/cooling elements to them. We’re also promised a ‘range of exotic and deadly ammunition tailored to the target’. We’ve seen what Vindicare’s are (and aren’t) capable of, but I’d love to see all kinds of cool ammo options in there - maybe a shieldbreaker style that doesn’t itself do any damage but fries the target’s invulnerable save, or a poison round that deals damage over time? Bringing back the option for instant death would be quite cool for these guys too - keep the squad size small but allow a small squad to actually kill stuff would be awesome! And then we move on to the other things that were ‘revealed’ but not talked about specifically. And there’s a few when you look at the box art. The important thing here is to remember that GW does nothing by accident. Box arts may have a little bit of artistic licence, but GW knows that they will get pored over by people like me, as has been demonstrated by the spider-construct that was spotted ages back in the shadows of a larger picture. 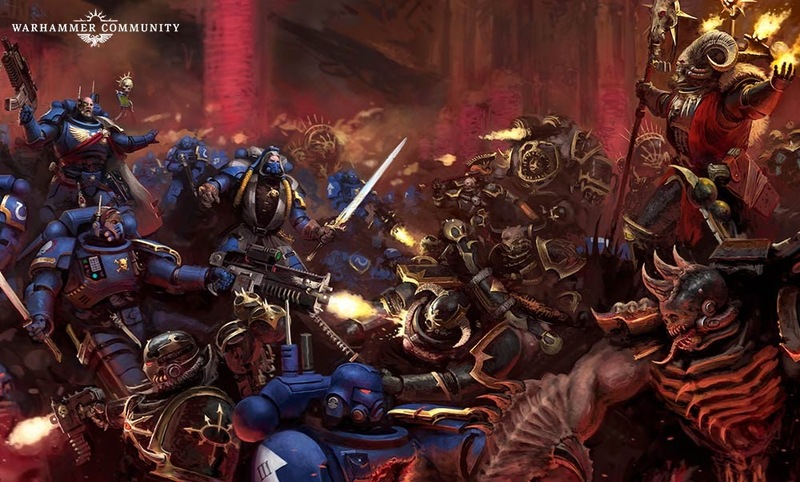 With that in mind there’s a few things that stand out from the Shadowspear artwork. Then there’s the guy standing in front of him in the picture. 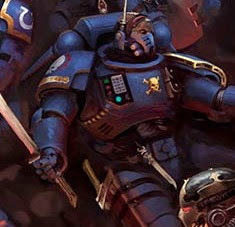 He’s wearing a Reiver’s chest plate, but is carrying what appears to be a bolt rifle, wearing the bottom half of what looks like an Intercessor helmet, and is carrying a blade in his right hand with a very long hilt. There’s also a knife sheathed at his waist so I can’t think that is a combat blade, and the hilt length combined with the way it’s being held convinces me that it’s a much longer, heavier weapon than you’d expect from a combat knife. And finally then we have the guy in the foreground whose chest plate is being ripped open by what looks like Chaos Possessed Marines. Again we’ve got Reiver shoulder pads, but the helmet grille is more reflective of Mark VII plate, and his backpack has different proportions to it and a couple of antennae that also appear on this pic of what is very definitely not a Reiver. Plus that bolter looks more like a deathwatch bolter than anything else I’ve seen on Primaris marine so far, it’s certainly not a bolt carbine (unless it’s a really bad drawing of one)! Well, that's me for now - hope you enjoyed my thoughts! 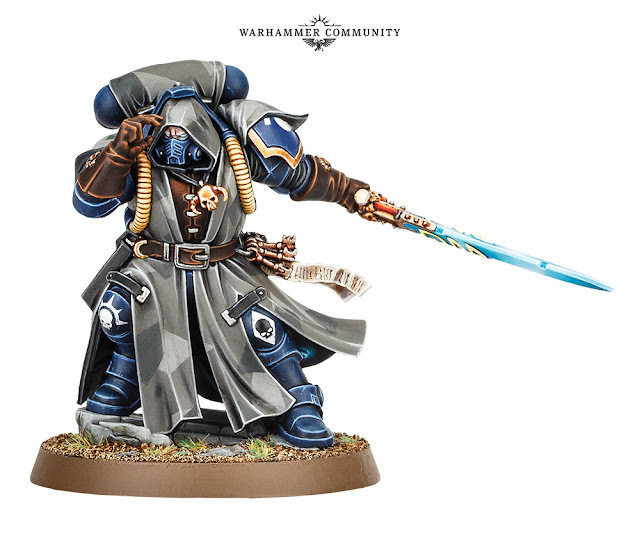 I love the new Librarian model although because of the cloak I get more of a Dark Angel vibe than Ultramarines. I totally get that, though I see all marines wearing robes at times, it’s not just a Dark Angels thing for me. 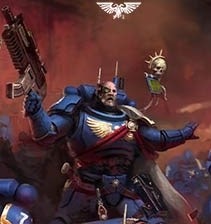 I can see old marines sitting in a codex with the first wave primaris stuff and then a new primaris codex with the full range of primaris units. Since my fluff for my Primaris Marines has them being one of the Chapters where Cawl used geneseed from a Traitor Primarch (specifically Alpharius), and put them into action against Guilliman's orders, this Vanguard stuff is right up my alley. Can't wait to see what else is coming here. Tho I wouldn't mind if it held off a bit on actually arriving. I've still got half of Blackstone Fortress, a decent chunk of Rogue Trader, three Shadespire bands, and a bunch of GSC (with more on the way) that I want to finish before I pick up still more new stuff. Nice review, Nick! Loving the new models too. That Abaddon video was pretty awesome. There's a couple of other things that I missed actually that I've seen since then, the most significant part being the most obvious - the unit markings! If you go back and look at the pictures above you'll see that the last picture clearly shows a battleline (troops) unit marking, whilst the guy I mentioned with the blade in his hand is marked up as a lieutenant according to the transfer sheets. There's also some random unidentified blue patches on either side of the librarian that could be just about anything but don't appear to be humanoid-shaped - could that be some kind of vehicle? Who knows, but I'll have a closer look in a post over the next few days.